The Summit Community Care Clinic, located in the Medical Office Building adjacent to St. Anthony Summit Medical Center in Frisco, is concerned about it's long-term solvency given a recent surge in the number uninsured patients it is seeing. An old standby of Summit County is facing escalating financial strain and is worried it may one day run out of answers. The Summit Community Care Clinic, a safety-net health-care resource in Frisco providing services to underserved populations, is staring down growing expenses as the number of patients — specifically, those who are uninsured — only continues to increase. The Federally Qualified Health Center (FQHC) was down to an all-time low of about 58 percent of its patients having no insurance during the 2014-15 fiscal year, but, since that time, its been on the rise. From July to December of 2015, it hit 61 percent, and, in April of this year, it reached almost 68 percent. While the clinic, now more than two decades old, is in partly designed to take on those who cannot otherwise pay for needed preventative or essential doctor visits, it requires a more balanced payer mix in order to break even each year and stay afloat. That means seeing, yes, the un- and underinsured, but also those on Medicaid as well as people who are commercially insured, so it may carry on serving the public at-large. 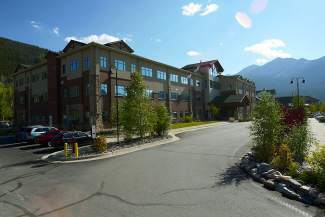 The health site located in the Medical Office Building adjacent to St. Anthony Summit Medical Center, and with it five school-based health centers (Dillon Valley and Silverthorne elementaries, Summit Middle and High School, and one in Lake County), has now reached more than 24,000 patient visits annually. Since January, it’s also experienced a 12-percent jump over this same time last year. To afford that volume of patients, the clinic has a yearly budget of more than $7 million. About 70 percent of that, or approximately $5 million, must be raised primarily through state and federal grants, private foundations and individual donors. Complicating matters is the fact that four of the region’s other rural health clinics acting as safety nets in Gilpin, Park, Chaffee and Lake counties have closed in the last two years. Today, many in those areas who probably would have gone to their local health center now turn up in Frisco. In turn, the asks around a community where health-care costs proceed to soar — a recent Colorado Division of Insurance release showed individual insurance premiums will most likely rise by an average of at least 35 percent next year — are still mounting. In the long term, it could mean the clinic cutting certain health-care offerings. Vaine, who will leave her post of eight years for a position with the county as an assistant manager on July 1, predicts the first product to go would be behavioral health services at the one-stop shop clinic. The organization would start by reducing or removing that sphere altogether because they are non-revenue generating and also not required in order to maintain their federal designation. Those services are especially important for the county’s school district through the Care Clinic’s school-based centers program, officials say. Since the 2014-15 academic year, the district has increased the amount of behavioral health, therapeutic hours at the schools from 850 to more than 1,500 — all of which are put to use. Those service hours help to address students who show signs of emotional disorders from depression, anxiety and stress — all the way to the prospects of suicide. Rather than asking for outright donations from residents — and she is happy to accept those on behalf of the clinic, too — she asks that the insured take a second look at the Care Clinic for their own health needs and visits to help offset the costs of those who don’t have the means to pay. she believes the holistic, integrated model there is top-notch and receives her care there, as does all of her local family, and will continue to do so even after she leaves as its CEO. Otherwise, she plans to once again hit the streets to ask local businesses and benefactors for contributions before she joins the county, as well as after. “Our mission and work that we do is critical,” she said. “I know that we’ve saved lives in our community, and I will continue to bang the drum and raise money and talk about the mission regardless of what my position is. Those wishing to donate to the Summit Community Care Clinic may do so at their website: http://www.summitclinic.org.